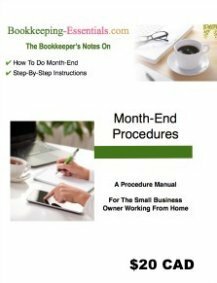 I am an off-site home based business and currently do all my client's books from my home office. I recently acquired a new client that has requested their books be maintained frequently (weekly). They have also requested I manage not only the routine bookkeeping but payroll for eight employees and all banking. It was suggested I come on-site in their office for payroll and to do banking (writing/issuing cheques). They will set me up and authorize me to gain access to their accounting files and data file from my laptop remotely from my office as well as when I go on-site. If I agree to come in and work on-site once a week using my laptop to log in their network to access the necessary files to perform services but use their photocopy machine and other office supplies. 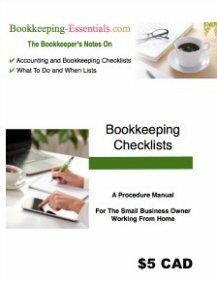 Then do the routine bookkeeping off-site at my place of business will CRA view me as an employee or self-employed contractor? The employee vs. self-employed independent contractor is never based on one thing. It is based on a series of things that make up the relationship. What constitutes an employee vs. a self-employed contractor in CRA's eyes? You will notice that the second reference pertains to the IRS's stance. They have a very similar approach to the topic as CRA, which is why I included that link for you as well.